Ulrich Beck, "How not to become a museum piece." John Braithwaite, "For public social science." Craig Calhoun, "The promise of public sociology." Amitai Etzioni, "Bookmarks for public sociologists." John Hall, "A guarded welcome." Christine Inglis, "Comments on Michael Burawoy’s ASA Presidential Address." 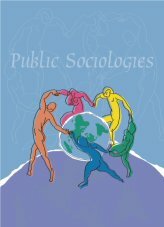 Ronald Kalleberg, "What is ‘public sociology’? Why and how should it be made stronger?" Stella Quah, "Four sociologies, multiple roles." Saskia Sassen, "Digging in the penumbra of master categories." John Scott, "Who will speak, and who will listen? Comments on Burawoy and public sociology." Diane Vaughan, "On the relevance of ethnography for the production of public sociology and policy." Michael Burawoy, "Response: Public sociology: populist fad or path to renewal?"